Brick is a beautiful building material and can give buildings an array of unique and alluring styles, depending on how it’s laid. Over time, however, brick is susceptible to the elements and eventually it’s going to lose its appeal as it becomes dirty, worn and faded. 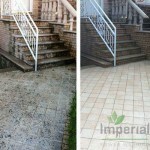 Imperial Power Washing is pleased to offer brick cleaning service in Richland, WA for building owners who want to breathe new life into their building’s façade and restore the true beauty of brick. No matter what type of building, no matter the hue of brick, no matter the construction, we’re adept at power washing brick in a way that’s effective, safe and efficient. Power washing brick can restore the appeal of the material, improving the aesthetic of your building and in turn, its curb value. Pressure washing brick can remove organic growths that might compromise the brick in the long run. Power washing restores the natural color of brick, giving things a like-new appearance that will preserve the face of the building for longer. The benefits continue to abound from a simple brick cleaning, making it a tremendous investment for any building owner that enjoys the quality, longevity and durability that brick has to offer. Do you need brick cleaning? When should you invest in a brick cleaning service in Richland, WA? The answer can be seen by simply looking over your brick. 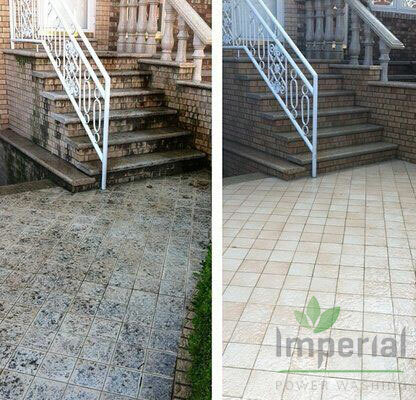 If there is discoloration, organic growth or any other imperfections that are affecting the color and appeal of your brick, it’s time to contact Imperial Power Washing for a comprehensive cleaning. Contact us today for more information about brick cleaning and restoration services, or to get a quote on cleaning your unique façade. We can be reached at 509-438-4595 with any questions you might have about the process!